Genuine experiences with Aboriginals are becoming more popular with visitors travelling to Australia. One of the most original and authentic experiences on offer is with Linc Walker of the Walker Brothers based just north of Cairns in Tropical North Queensland. Elise and I had the pleasure of sitting down with Linc for a one on one chat about his wonderful product. This experience is really a family affair with Linc and several of his family members including his father and brothers involved in offering a truly unique look at the historic and modern day Aboriginal culture. 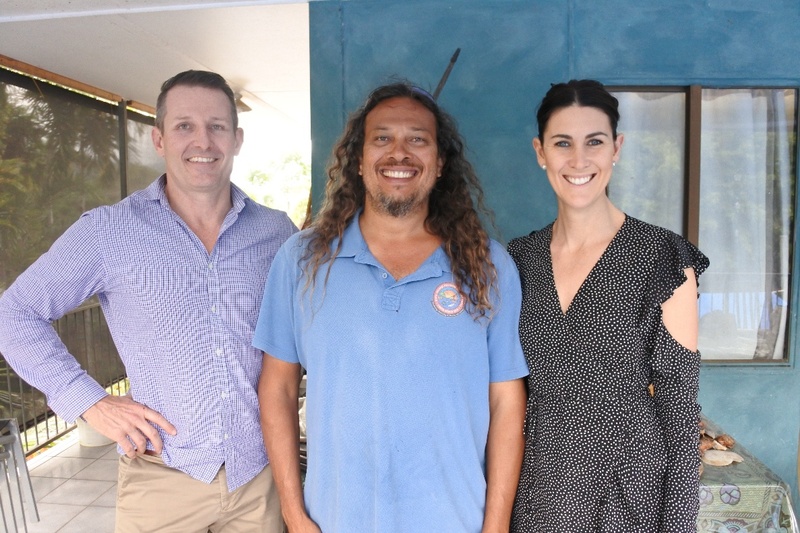 We were lucky enough to spend some time with Linc recently and talk to him about Indigenous Tourism, what inspires him and what he has on offer in the future. ALE – Linc thank you for welcoming us here today and thank you for your time. Can you tell us what inspired you to create the Kuku Yalangi experience? Linc – My Dad was a National Parks Ranger and spent allot of time in the Rainforest around Port Douglas. I then became a Park Ranger and was interested in the educational side of my job. I wanted to pass on what my Dad had taught myself and my brother Brandon to the younger generation so we began taking people into the Rainforest and teaching them what we knew. People found out about what we were doing and I guess the business grew from that. Today my Dad still contributes and we have other family members involved also. ALE – What do you like most about what you do? Linc – I love the fact that I can show people a great time, having fun walking through the mangroves, catching crabs, throwing spears and showing them bush tucker while at the same time educating them about the Aboriginal Culture. I think our (Aboriginal) culture is sometimes misunderstood or not enough is known about it, and my tour allows people to get a good understanding. ALE – What do people learn on your tour? Linc – People will learn about our heritage, we are the oldest living culture in the world. They will learn about the Aboriginal Dreamtime and why our land is so important to us. People ask allot of questions about Aboriginal History and I use maps and other resources to give them some idea. People are very interested in this and there is a great willingness to understand our people. There is also a certain fulfilment for people that they have a greater understanding. When I get my spears out and get people to practice throwing these, it can be very confronting. We normally start with the kids first and then the adults join in. After that we go and try to spear some crabs. Later we return to cook the crabs and learn about the present day Aboriginal lifestyle. I also have a collection of traditional weapons here that people can see and hold. A spear that was made by my Grandfather is a favourite. ALE – What are your guests reaction to their experience with you? Linc – There is certainly a shock value there as I don’t hold back. What people experience on our tour is very authentic. People of course ask about crocodiles and things like that and stay very close to me. We take our shoes off and walk through the mangroves and this is something very new for most people. At the start of the tour what starts out as a little bit of shock ends with people wanting more and asking lots of questions. I can see them change completely from the start of the tour being uncomfortable taking their shoes off to being completely relaxed and comfortable at the end. 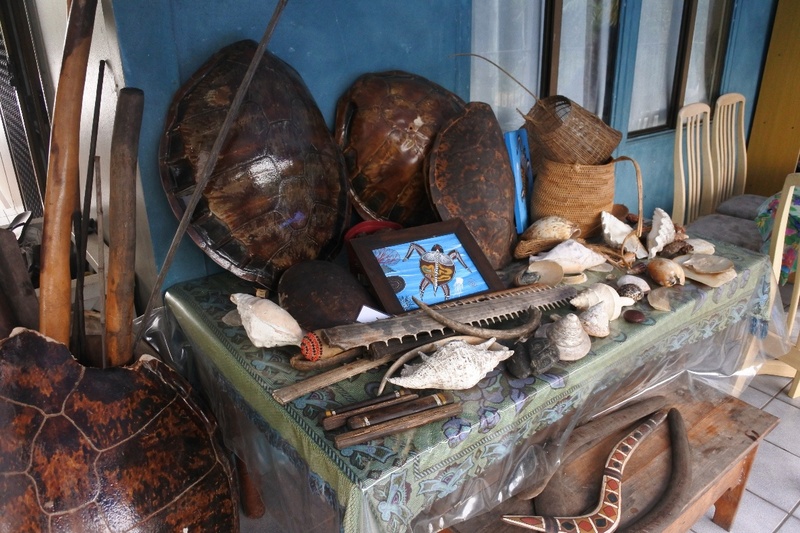 People are then happy to try some Bush tucker or look at my traditional weapons display at the end. 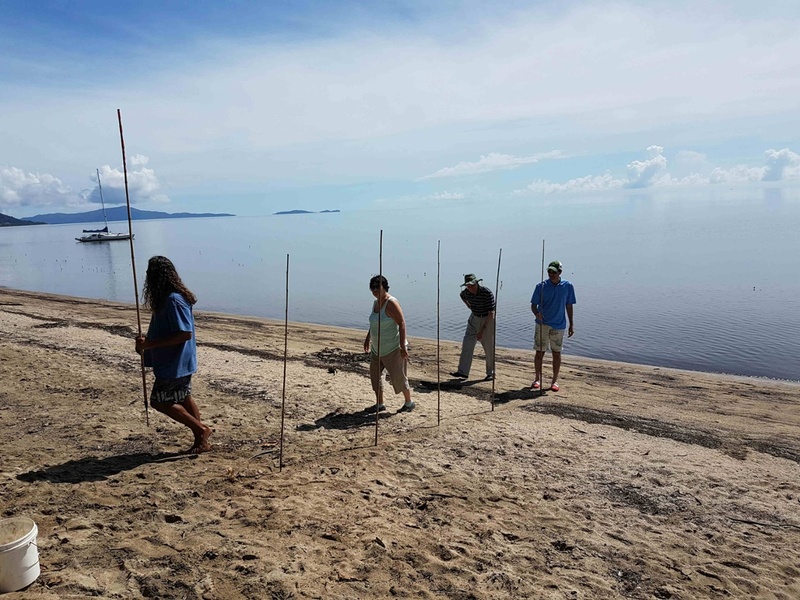 ALE – Where do you see the future of Aboriginal Tourism? Linc – Our business has certainly grown and there are now allot of new Aboriginal lead tours around. The biggest challenge we face is keeping up with demand and getting good Aboriginal guides. We also need to maintain our integrity and keep our tour authentic. We have some plans on expanding our range of experiences here which is very exciting and possibly offering a night tour. So its all good and heading in the right direction. ALE – How can people find you? Linc – People can call Selina in our office who handles all the bookings or just go online to http://www.kycht.com.au/ Our tours book out all the time so its important to book in advance. We are less than an hour’s drive from Cairns and only 15 minutes from Port Douglas so it is really easy to get here. People can also come here with you guys (Australian Luxury Escapes) as part of a tour. There are many Aboriginal Experiences on offer throughout different parts of Australia. Not just in the outback regions and far north. Sydney offers wonderful Aboriginal guided walks through the Botanic Gardens and the recently opened Barangaroo precinct as well. So you don’t necessarily have to travel far and wide to find the best one that suits your needs. Australian Luxury Escapes works with dozens of different Indigenous operators and we can tailor an experience that suits your needs. If you would like to include a visit with the Walker brothers as part of our Daintree tour then click here for our itinerary and further information. Alternatively email one of our friendly staff now at tours@australianluxuryescapes.com or visit our website at www.australianluxuryescapes.com for some great ideas!